The demo for the highly anticipated Platinum Games’ third person shooter Vanquish has been rolling out on Xbox Live and the PlayStation Network worldwide throughout the day, and seems to have made it just about everywhere now. 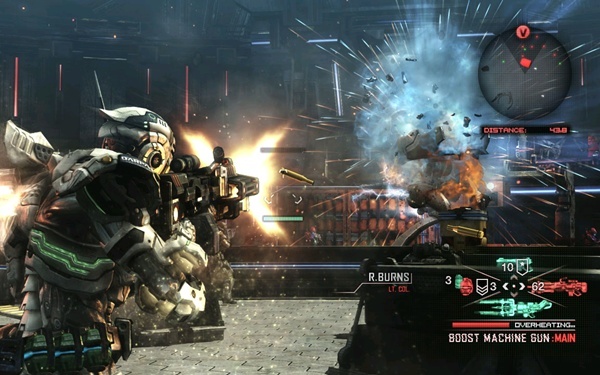 Vanquish is the newest game from the mind of Shinji Mikami, creator of such classics as Resident Evil. Known for his epic games, Shinji Mikami has taken on the 3rd person shooter in a way that only he could. Working with PlatinumGames, together they’ve come up with a very fast, very fluid, and very intense cover to cover shooter. How you operate the Augmented Reaction Suit (ARS) system and the key abilities it grants you will be the deciding factor in your success – or failure. The two abilities that I find the most useful are Boost and Augmented Reaction (AR). Vanquish is set to release on PlayStation 3 and Xbox 360 on October 19th in North America, October 21st in Japan, and October 22nd in Europe. Next Entry: Google Buys SocialDeck, Mobile Gaming on Cards?